5.2.3 看板編: 在来線 車端部のボタン(JR西日本) - dutcheez’s Fun with English! Caution! Train may stop suddenly. 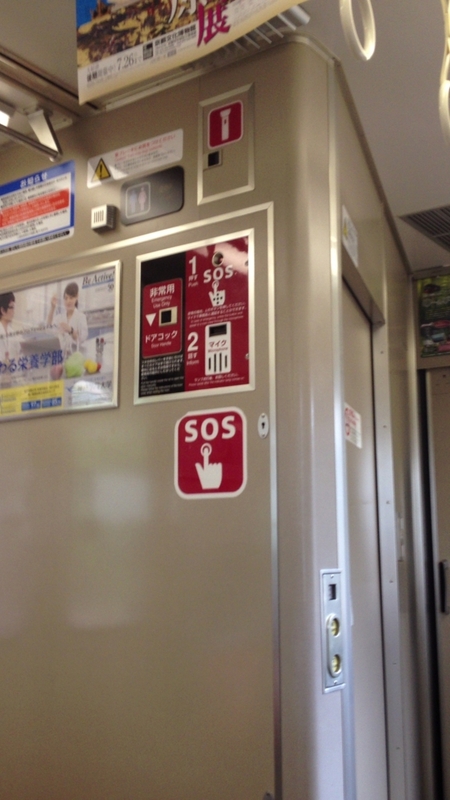 speak to a train crew through the microphone. Please speak after the indicator lamp comes on. crew when exiting the train. Most crew will respond only in Japanese. Look for a Japanese speaker around you.